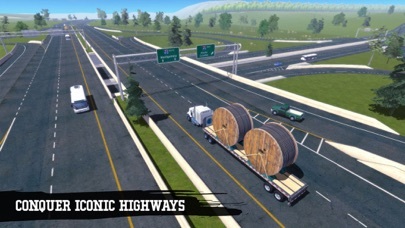 NEW MAP UPDATE adds the Northern Territory with 7 new cities and new missions to the game. 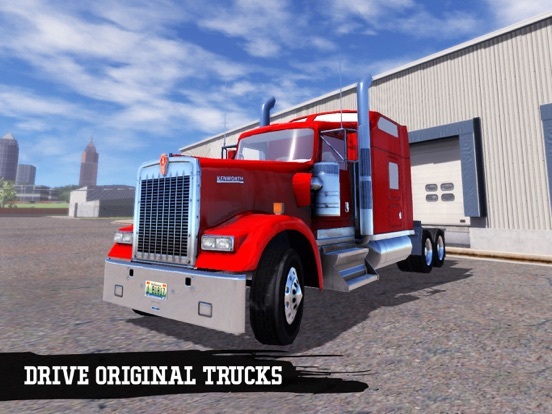 Transport freight with original trucks by Kenworth and Mack in a huge open world across the United States. 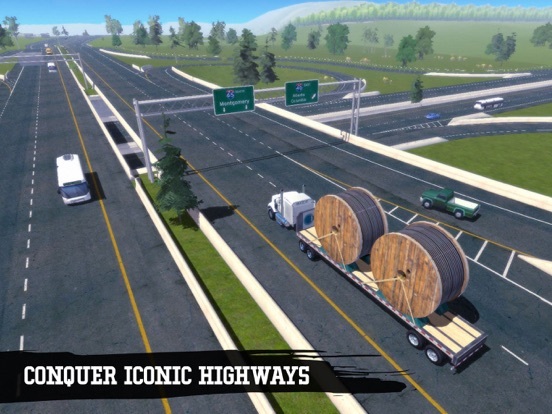 Hire drivers, purchase new trucks and expand your business to become the nation's most successful hauler. 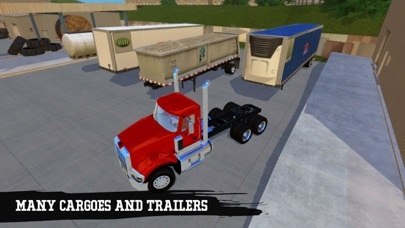 Runs on iPhone 6,7,8,X, iPad Air (A8x), Pro, Pro 2017 Features: •	Original trucks by Kenworth and Mack •	Large open world USA map with over 30 cities to visit •	Functional cockpits with lights, air horn, cruise control and more •	Hire drivers, buy trucks, manage your truck fleet and expand your business •	A wide range of cargoes and trailers such as farm machines, diggers, planes and more •	Earn bonus points in story driven missions •	Rest at motels, fuel up your truck, get fined for speeding NEW MAP UPDATE. 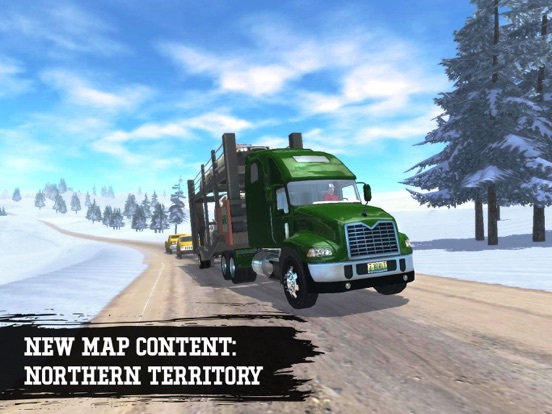 Discover the Northern Territory and make your way through snowy wilderness. 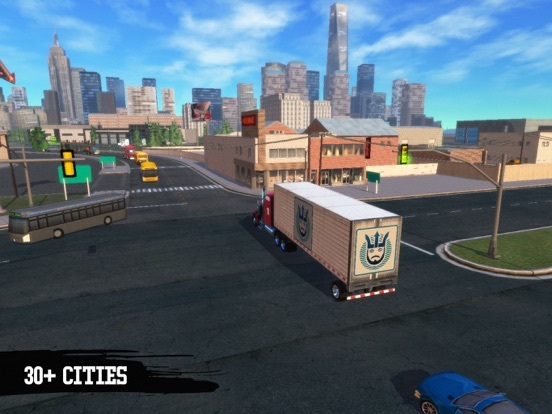 Visit 7 new cities and compete in new missions. DRIVE THE ORIGINAL. 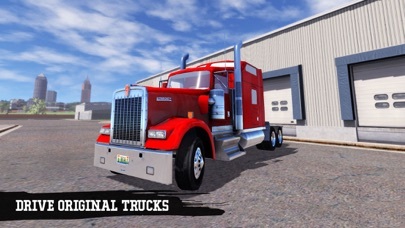 Truck Simulation 19 features highly detailed truck models by Kenworth and Mack. 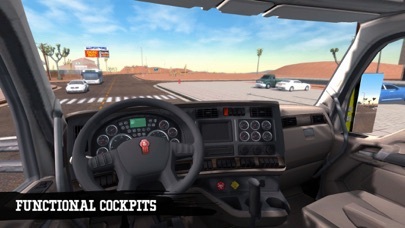 Every truck comes with operational cockpits and 3 different cabs. THE USA IN YOUR POCKET. 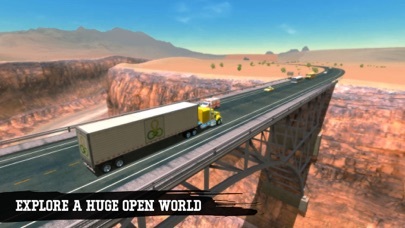 Explore a huge open world across North America. 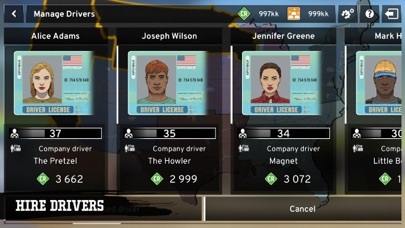 Start your career on the East Coast and unlock more states and cities as you progress. 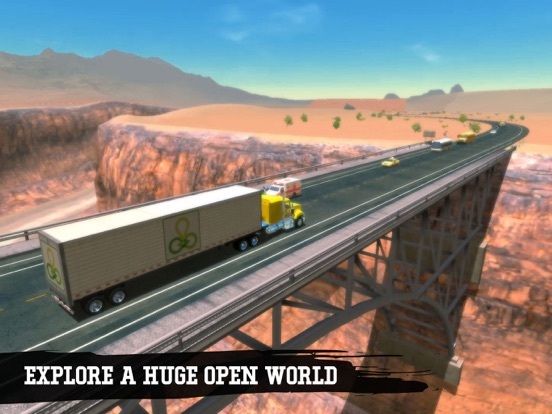 Discover narrow country roads, large highway intersections as well as farmland and desert regions, all created with attention to detail. SIMULATED EXPERIENCE. 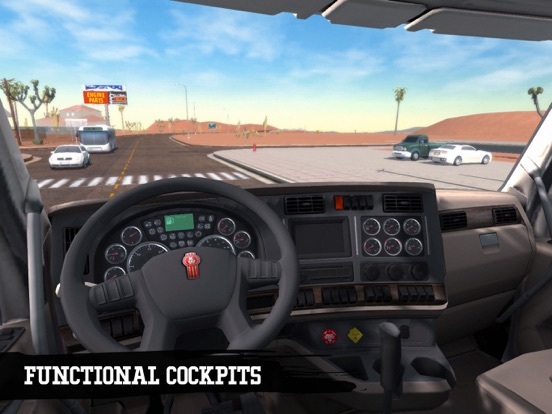 All trucks are equipped with functional lights, air horn, cruise control and indicators. 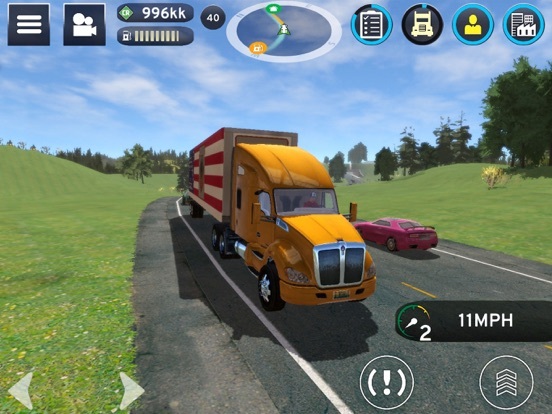 Experience a lively world with AI traffic, day/night cycle and different weather conditions. Fuel up your truck at typical truck stops and rest at motels along the highways. EXTENSIVE MANAGEMENT PART. 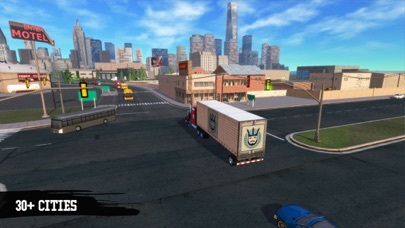 Start with one small depot and expand your company throughout the US with more depots and transport hubs. 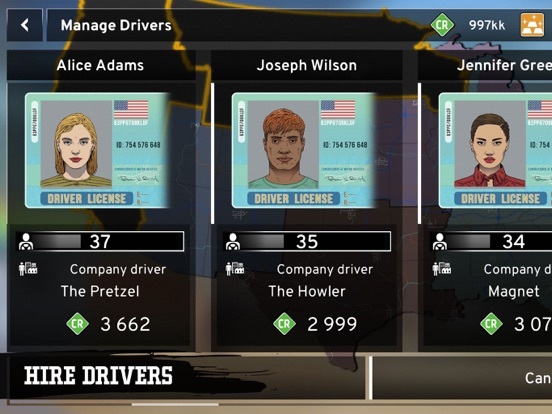 Hire drivers and purchase new trucks to get all jobs done and transform your small company into a giant logistics corporation. 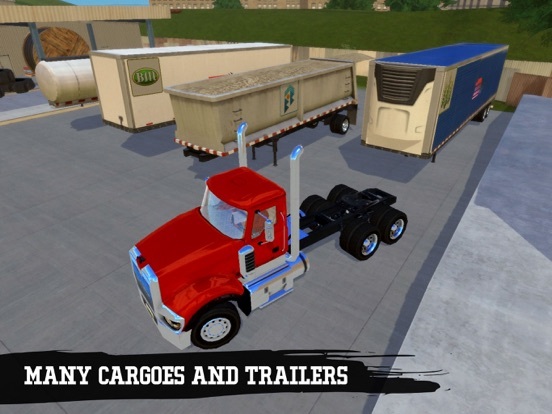 A WIDE RANGE OF CARGOES AND TRAILERS. Transport farming machines, orange juice, supercomputer parts, medical and military cargo and more. 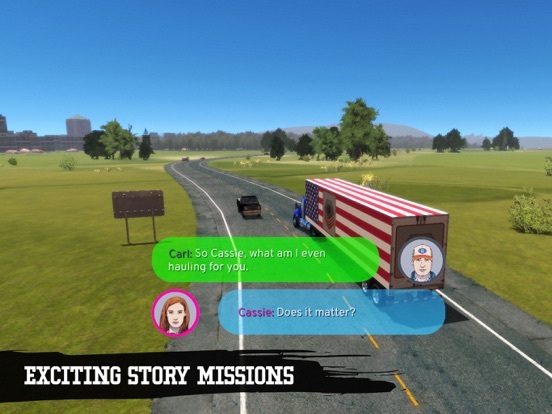 Hitch your truck with tank, flatbed, dump, reefer or other trail-ers and earn bonus points by completing special transport tasks. CHOOSE YOUR FAVOURITE CONTROL SETUP. 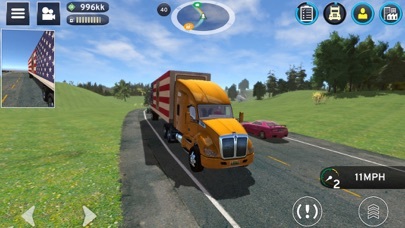 Drive your truck either by tilt, wheel, arrow or slider controls.